Lukla flight is being operated from Ramechhap from today as Tribhuvan International Airport will be shut for 10 hours daily following rehabilitation of the runway. As the rehabilitation project is initiated from today, flights are likely to be affected including mountain flights. 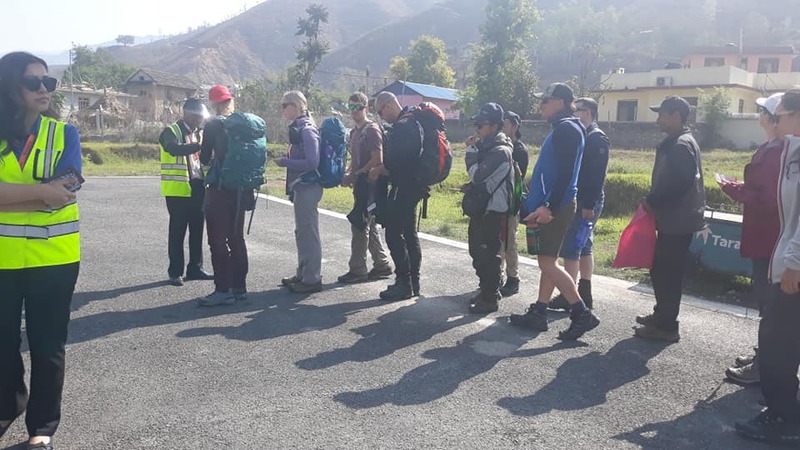 The mountain climbing season has started and in order to manage flight arc in lukla, the preparation has made to conduct flight from Manthali Airport, Ramechhap. Foreigner can use buses to reach from Kathmandu to Manthali and they travel from Summit Air, Tara Air and Sita Air to Lukla. The airport is situated on the bank of Tama Koshi River in Manthali, headquarters of Ramechaap District and is the closest airport of the eastern region to connect Kathmandu at an elevation of 493 m. /1617 ft. above mean sea level. The airport has Bituminous Paved (Asphalt Concrete) runway with its dimension of 520 x 20 meters aligned to 030 degrees and 210 degrees. The airport can accommodate three small aircraft like DHC6 Twin Otter, Harbin Y12, Dornier DO228, LET L410 and Cessna Grand Caravan C208 at the time.